Every Sunday, Making A Mark features one of the insanely talented artistic folk currently living up large, and gives them a little brag spot right here on IADW. This week it's inde comic hotshot Dave Wachter! Dave Wachter isn't just behind the 2010 Eisner nominated web-comic The Guns of Shadow Valley, he also regularly updates his own website with a wide range of stunning black and white sketches and commissions, starring folks from all corners of pulp fiction. Actually 'stunning' isn't doing the job, the guy's work is incredible. Click through to the next page for a few key examples of what I mean. I've never brought an issue of Dark Horse Comics highly-acclaimed series THE GOON, but God help me if art like this doesn't make me want to back the truck up and grab every issue. Who doesn't like the Flash-Rouges? 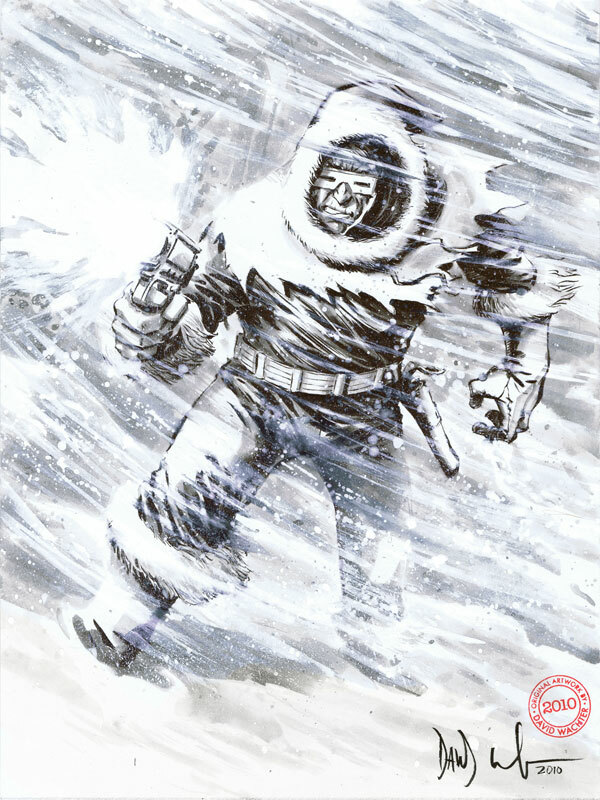 CAPTAIN COLD here looks icy-cool. 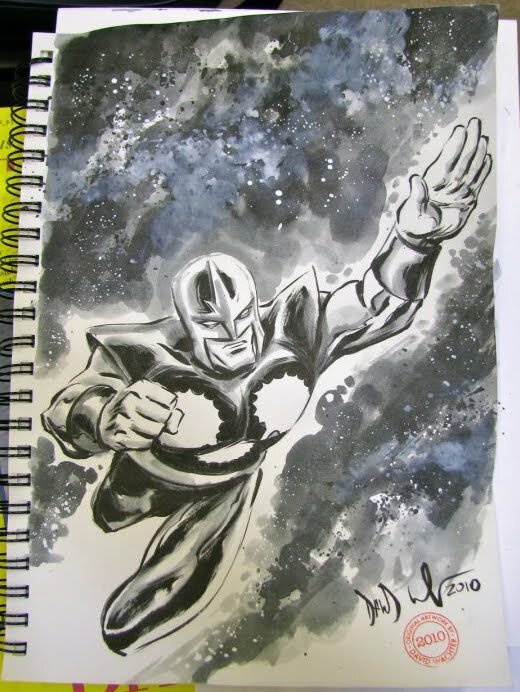 As if this sketch of NOVA wasn't sweet enough, look at the texture on that cosmic back-drop! Dave's clean and semi-retro style would make for a sweet Superboy or Speedball series. 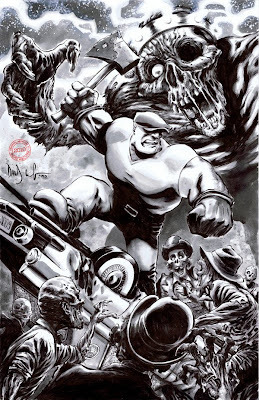 Catch up with all Dave's latest art, either here on his personal website or here at his FREE weekly web comic The Guns of Shadow Valley! 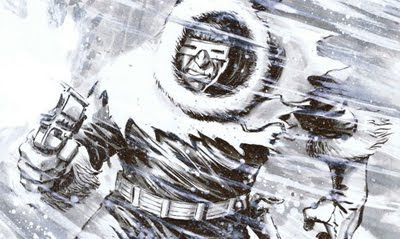 Hard to make Captain Cold look badass, but he pulls it off! Thanks guys! I thought that pic was pretty crash hot too! Dave work just keeps getting more impressive with every page. Thanks for the comMents and welcome to IADW!